AIR OPTIX® plus HydraGlyde® Multifocal contact lenses are made with a unique combination of technologies to give you the comfortable lens-wearing experience all day long. 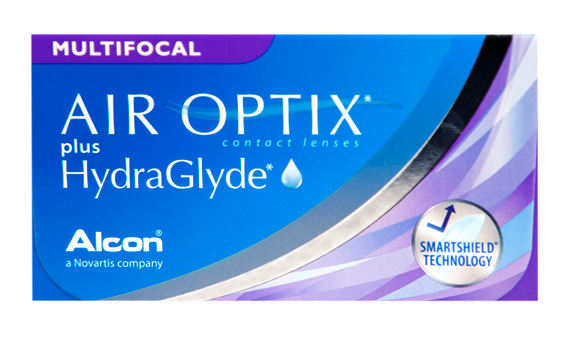 HydraGlyde® Moisture Matrix technology helps maintain longer-lasting lens surface moisture. 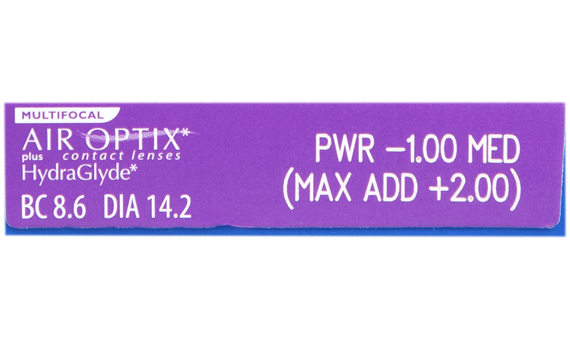 The Precision Profile® design of AIR OPTIX® plus HydraGlyde®Multifocal contact lenses provide for a range of prescription strengths. These lenses works with your eyes' natural function for uninterrupted clear vision at any distance.